The NFL Draft is now 48 hours away, and in the latest video on ESPN, their latest Mock has the Giants going QB in round one, taking Daniel Jones. Odell Beckham Jr. crushed the Giants organization in a Monday Twitter rant as “a place that’s ok wit(h) losing,” clearly set off by GM Dave Gettleman’s frequent trolling of OBJ in allusions to his detrimental impact on the “culture,” Pat Leonard of the New York Daily News reports. 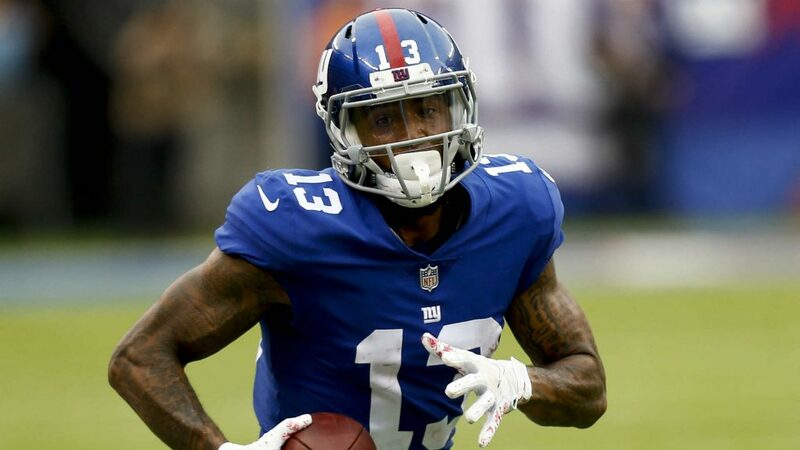 Beckham, 26, called it “crazy” and “disrespectful” that the Giants only issued a stock Gettleman press release thanking OBJ “for his contributions” after his March trade to Cleveland. Beckham also spilled dirt on some Giants late-season drama involving coach Pat Shurmur and threatened to share more if his name keeps getting dragged through the mud by the passive-aggressive Gettleman. Beckham tweeted an emoji zipping its mouth shut. “*Takes the high road* I’m working on the best me! That’s all I can say,” he said. The 2019 NFL Schedule is out – and Giants fans you can start to look at what trips you want to take and days off as well! Here it is – the complete 2019 Giants slate! 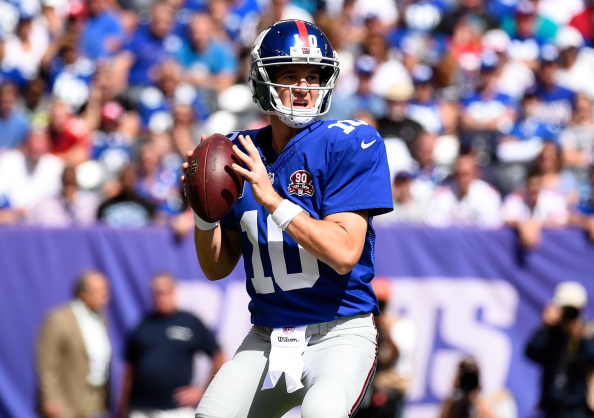 The Giants have plenty of decisions to make about the teams’ future quarterback position, as Eli Manning isn’t getting any younger, and the team has to figure out what to do with the most important spot on the team. How about Seattle QB Russell Wilson? 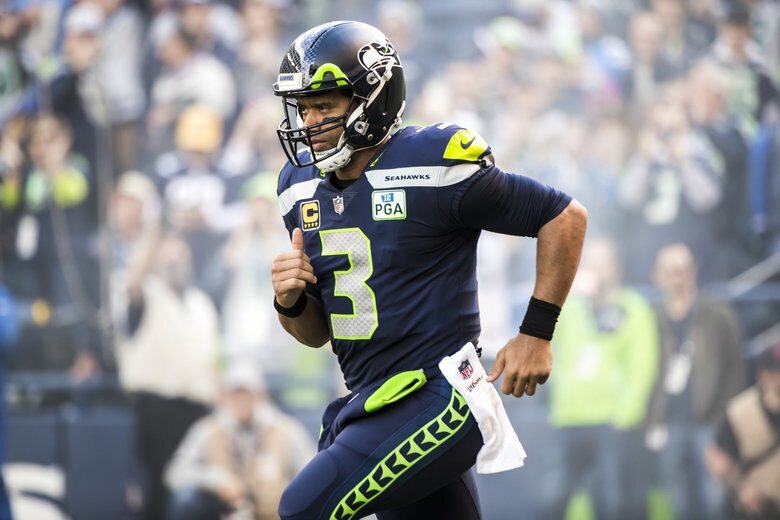 The Seahawks are in a bit of a tough situation with Wilson, who wants a new deal and has reportedly told the team that he wants it by the start of the the teams’ offseason program on April 15th. So how do the Giants fit in? Could they possibly look into a deal for Wilson, and if so, what would they have to do in order to get it done? 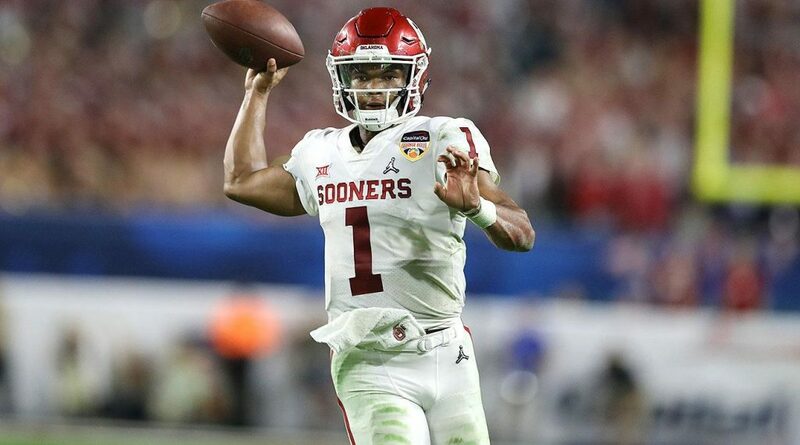 Jason LaCanfora of CBS Sports threw out a possible deal that could include the Giants, Cardinals and Hawks making a trade with Wilson being the prize, and ending up with the Giants. Here’s what CBS has to say about a possible deal – which he does say is a longshot, but at this point why not? In essence, Wilson gets dealt for three first round picks – which is fair value (guys like Jay Cutler went for two first-rounders) – but it’s split up over two teams. According to the ‘ol Jimmy Johnson draft value chart (which is hardly the Bible anymore but is a worthwhile reference point) – 6 + 17+ 37 = 3080 points, while 1st overall is worth 3000. That’s basically a wash between what Arizona gets and what the Giants give up and what the Seahawks get in return. Oh, and the Giants get one of the top three QBs in the world, who is committed to playing beyond age 40 and is still very much in his early prime having just turned 30 in November, landing smack in the biggest media market in the world to sell jerseys and luxury suites and all that stuff. The Giants moved on from OBJ, who they thought was trouble, and get a squeaky clean QB who is good for about 10 wins all by himself and immediately makes them vibrant and viable again. Sure, they wouldn’t pick until the third round in this draft, but with Wilson and Saquon Barkley and a tweak here or there, the potential for a robust offense is abundant. Gotta give to get. Seattle won a Super Bowl with an undersized, uber-athletic QB with a strong baseball background who was making peanuts at the time, just a few short years ago. Might they do it again? Arizona can go get a stud tight end and the top WR on their board and build around a young QB making peanuts whom they just traded up to take 10th overall less than a year ago (Josh Rosen). Monday was a day that had to turn the stomach of many New York Giants fans, as they watched one of their own, a former first-round draft pick that they just inked to a new deal sitting on stage in Cleveland getting all the love in the world. That was the truth though about Monday for fans of the G-Men, as they watched Odell Beckham Jr. get all the love that many New York fans use to give him. 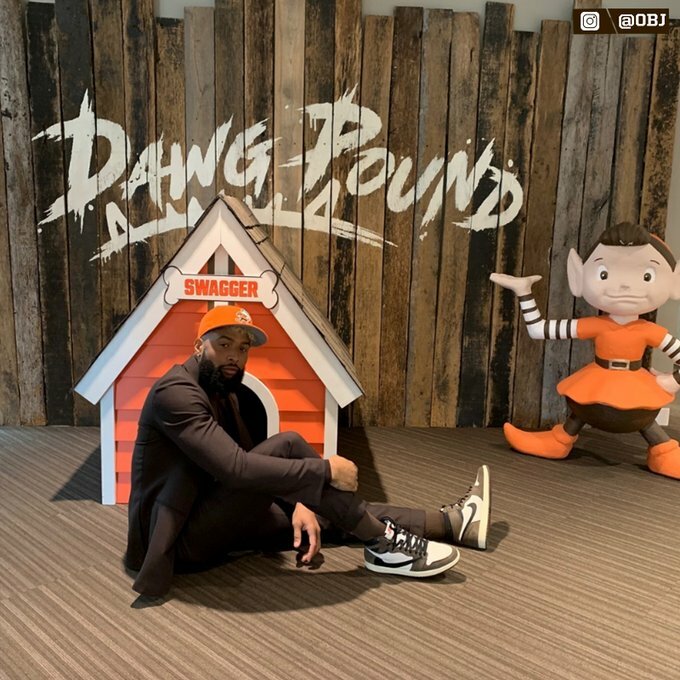 The talent that the Browns have added this offseason is undeniable, and if you go betting on sports with an app, the Browns have to be a a team to watch in 2019. That doesn’t help the Giants or their fans though, who had to listen to how much Beckham is excited for his new start in Cleveland, playing with his best friend and former LSU teammate Jarvis Landry. “I think this moment is going to be more iconic than we all realize right now,” Beckham said Monday. It could, and should have been so much different for Beckham and the Giants, but for whatever reason some bad blood from last season, some questioning of the play calling, and a general sense of going in a different direction was enough for Giants GM Dave Gettleman to send Odell packing. To say that the deal was a shock for Beckham was an understatement. “I definitely would say that,” Beckham said at the Browns’ facility in Berea, Ohio. The spectacular receiver said he was eating dinner when he got a call from Gettleman with the news. It’s franchise training for the Giants, a team that looks like they are going for the rebuild, and better hope it’s not a trade they are going to look back on in 10 years and regret. Seeing Beckham in Browns orange really looked odd on Monday though, and not in a good way. 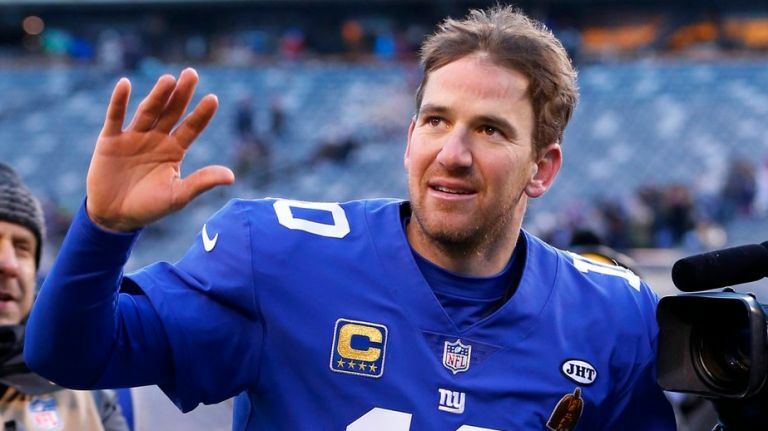 The Giants “aren’t kidding” about bringing quarterback Eli Manning back in 2020 according to Ralph Vacchiano of SNY.com. It may not be a joke but it should be. 2019 is the last year on Manning’s current contract and most people just assumed that this would finally be the end of the Eli era in New York. The Giants are well aware that Manning is nearing the finish line, but it doesn’t sound like they’re smitten with any of the quarterbacks in next month’s draft and may decide to ride it out with Eli a bit longer. Per Vacchiano, the G-Men saw a lot of “positive signs” from Manning down the stretch in 2018 and “won’t hesitate” to extend his contract for another year. Even if New York won’t admit it, the former Super Bowl MVP is undoubtedly on the decline and the Giants probably should have drafted his successor when they had the chance a year ago. With Odell Beckham gone and Saquon Barkley emerging as the clear focal point of New York’s offense, the 38-year-old will likely serve in a game-manager capacity going forward. 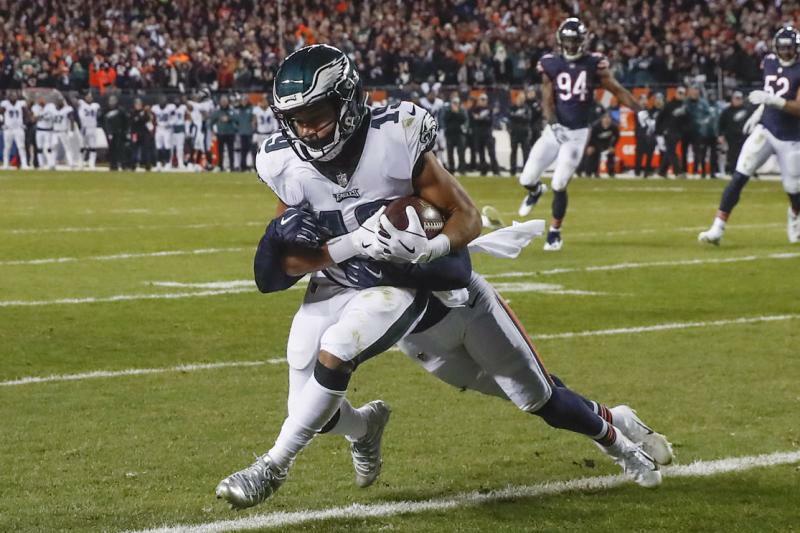 He’s not the playmaker that Odell Beckham Jr. is, but for the Giants, they needed someone to fill the void, and are hopeful that Golden Tate can fill the void. Thursday Adam Schefter reported that Tate and the Giants agreed to a four-year deal, worth a reported $37.5 million that includes $23 million fully guaranteed. Tate brings a Super Bowl title with him to the Giants, winning a championship in 2014 with the Seattle Seahawks. That season was his best, as he pulled in 92 catches for 1,003 yards and five touchdowns. Last year he started the season with the Detroit Lions, then was traded to the Philadelphia Eagles, who made it to the NFC Divisional round before losing in New Orleans to the Saints. With the Lions and Eagles in 2018 Tate had 74 grabs total for 795 yards and four touchdowns. One of, if not the biggest playmaker in Giants history is gone, as Tuesday night the G-Men traded 2014 first-round draft pick Odell Beckham Jr. to the Cleveland Browns. The return for Beckham is a first-round pick this year, a third-rounder this year and safety Jabrill Peppers. The trade can be finalized Wednesday when the NFL’s new league year begins. Rumblings about the Browns looking to deal for Beckham started four months ago, and since then it’s come up over and over that the Browns were interested in making a deal for the wideout, and gained steam earlier today. The move comes just seven months after the wide out signed a five-year, $90 million extension. Beckham and new Giants coach Pat Shurmur never seemed to be on the same page, and Beckham publicly criticized quarterback Eli Manning and the Giants’ offensive scheme, expressing his frustration with facing double coverage and a lack of downfield targets. The 2014 first-round pick of the Giants in his five-year career has 390 receptions for 5,476 yards and 44 touchdowns. Other than amazing catches, Beckham leaves the Giants with an impressive resume that includes three Pro Bowls and he’s a two-time All-Pro selection. Corey Coleman bounced around with not one, not two, but a total of four teams in 2018, but finally it appears he’s found a home with the New York Giants. 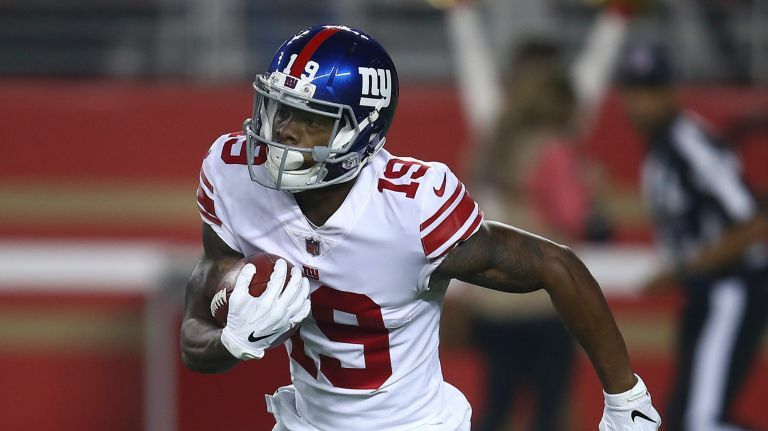 If you look at any online sportsbooks the Giants need help in terms of scoring points, and with that the team has decided to keep Coleman around, as they used an original-round tender on the wide receiver as a restricted free agent, a source confirmed to Newsday. The move means that Coleman will have a non-guaranteed salary of $2.025 million in the 2019 season. The Giants are hoping for a lot more for the former Cleveland Browns first-round pick. It’s not a 100 percent for sure that Coleman will be with the Giants, but it’s hard to think that any other team is going to chat with him based on what it could cost them with what the Giants placed on him as a restricted free agent. 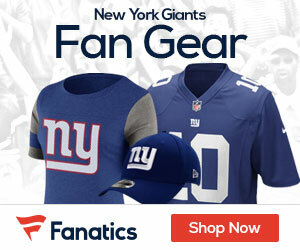 If Coleman does not play for the Giants in 2019, the G-Men would receive a pick from the original round that Coleman was selected in if he signs elsewhere. In this case, that would be a first rounder since Coleman was initially selected there by the Browns. This means you can forget Coleman going anywhere. The former first-round pick traded to the Bills from Cleveland during camp, and then signed with the Patriots before he was picked up by the Giants in midseason. He had five catches for 71 yards in eight games for the Giants and also averaged 26 yards on 23 kickoff returns. The Giants must feel that he’s going to have a big 2019, otherwise it’s a rather odd move for the team if they don’t think he can’t succeed. 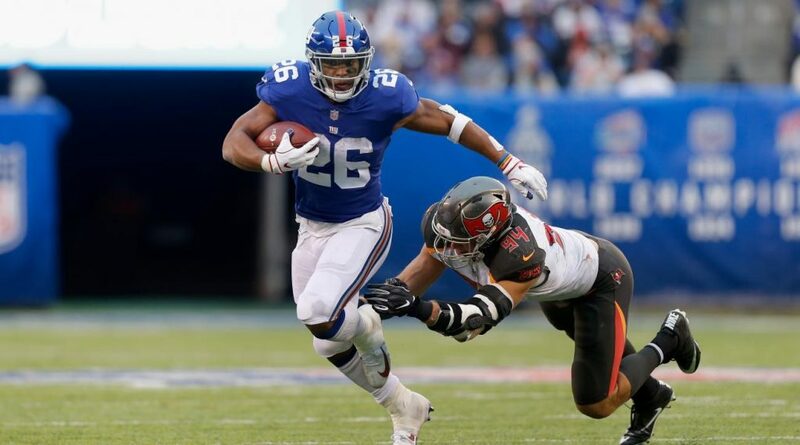 Giants rookie running back Saquon Barkley had to run behind what was a rather weak offensive line in 2018, but he made the most of it week after week. 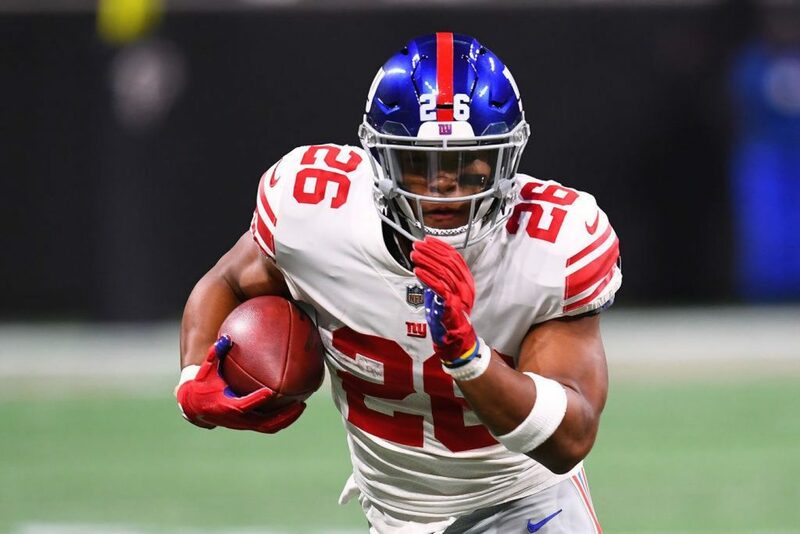 The Giants top player in 2018 was honored on Saturday night, as he was named the AP 2018 NFL Offensive Rookie of the Year, beating out Browns quarterback Baker Mayfield. Barkley, the second overall draft pick who rushed for 1,307 yards and 11 touchdowns drew 26.5 votes from a nationwide panel of media members who regularly cover the league. Mayfield earned 21.5 votes. In addition to the award, Barkley also will soon be sporting a chain, courtesy of Mayfield, as a result of a wager with the rookie quarterback on the outcome. Barkley also made a team-high 91 receptions, an NFL record for a rookie running back, for 721 yards, and his 2,028 yards from scrimmage led the league.